I always manage to catch a flu or cold at the tail end of the year and it takes me a solid couple of weeks to recover. It’s honestly dreadful and I’m so glad I’ve finally bounced back! Catching a cold or flu during the winter months is inevitable and while you take the time to mend your health on the inside, what about recovering on the outside? 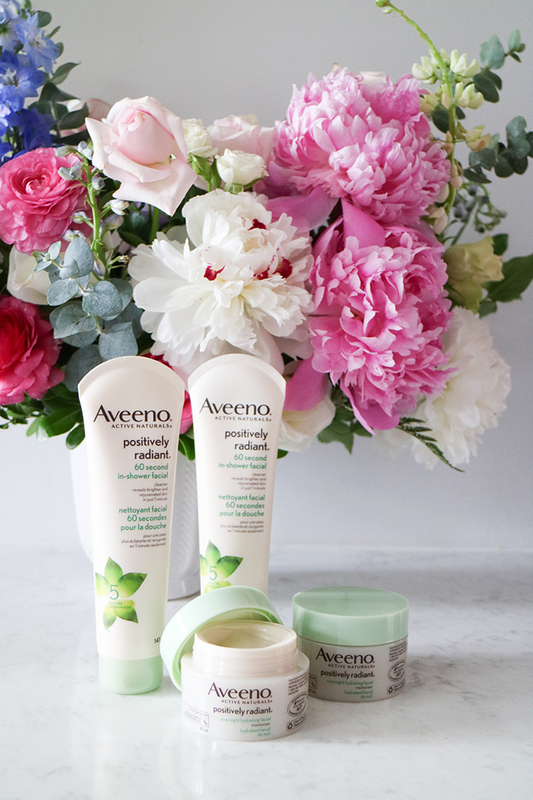 Ever since becoming an AVEENO® Ambassador, I’ve had the privilege to try so many fabulous products. 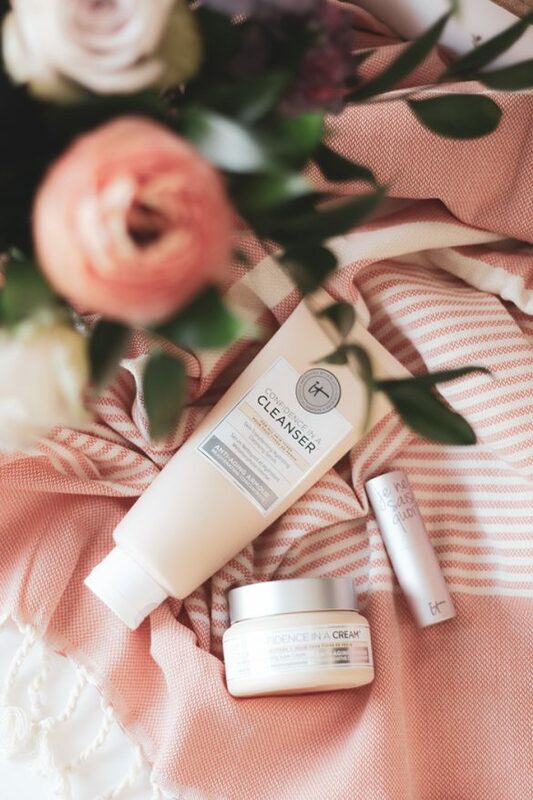 From face care to body care products, there are an array of choices perfect for everyday use or to combat and treat specific skin concerns. Seeing that Christmas is literally around the corner (can’t believe we’re only a few more days away! 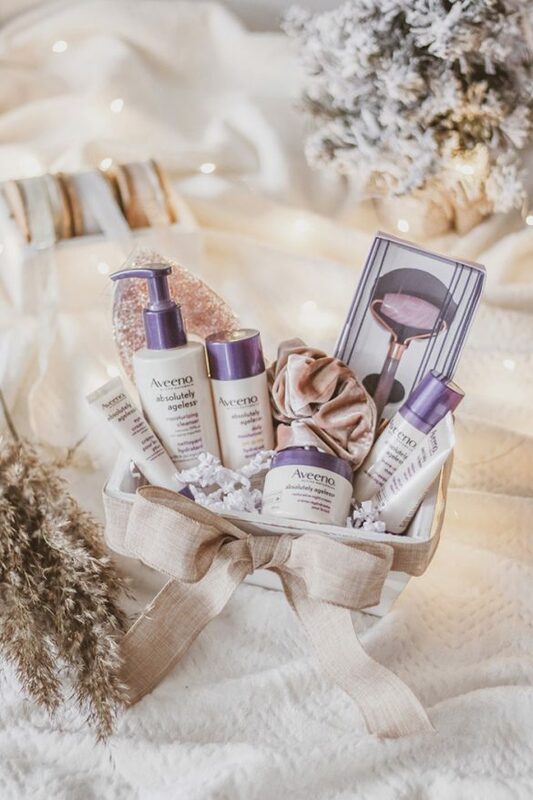 ), how great would it be to curate customized DIY beauty gift baskets packed with AVEENO® products for the special ladies in my life? Though it’s only one day away from the start of another work week, I make effort to reserve Sundays for self-care. I rarely have free time during the week, therefore Sundays are perfect for yoga, delicious healthy meals, therapeutic hobbies, and pampering time for my skin and body! 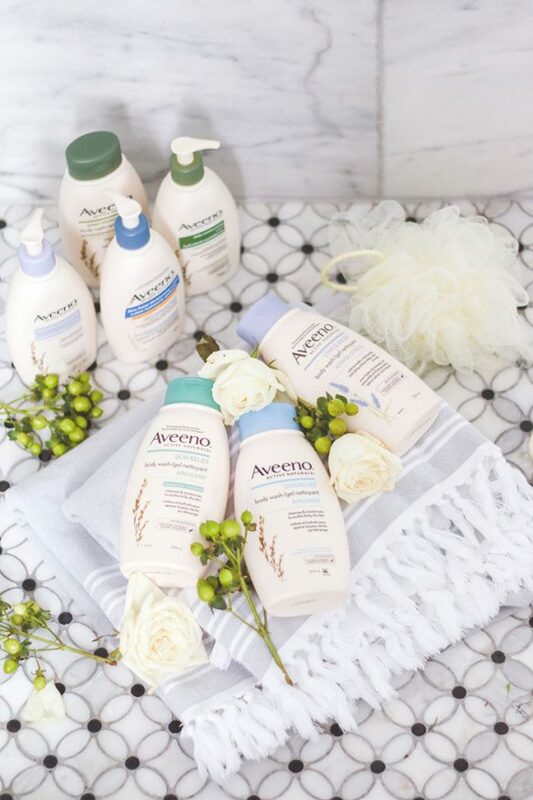 I’m so excited to be teaming up with AVEENO® over the next few months to recommend an array of my favourite products and their newest launches, so be sure to continue to follow along! It’s been a while since I’ve posted a beauty round up! 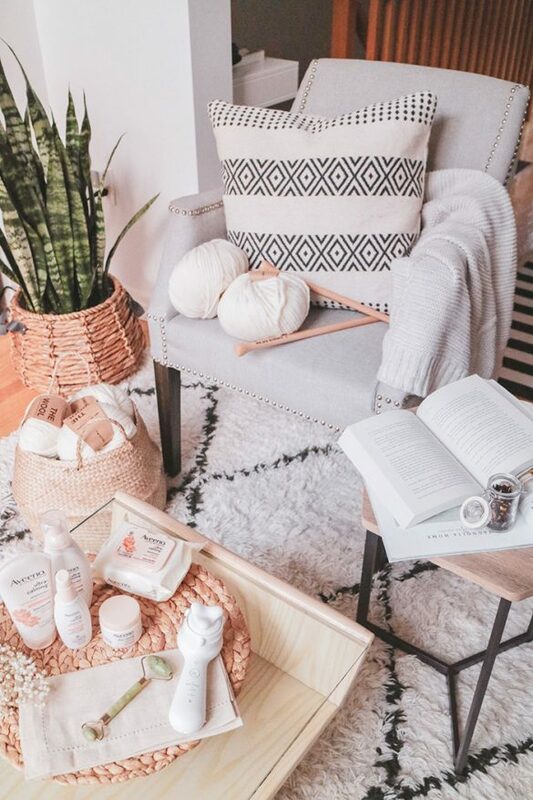 I’ve tried so many new products over the last few months and I’m thrilled to share some that have managed to find its way to a permanent spot on my shelf! Ready to discover my beauty selection just in time for the official start of Summer?! Many people often ask how I manage to juggle so many different priorities. From a full time job, to creating content, attending events, and more recently managing the renovation chaos that’s been happening at home as we speak. How do I find time to relax, enjoy my hobbies, and spend time with those I love? There isn’t some secret voodoo magic to it. It all comes down to resilience, effective time management, and finding ways throughout the day to save a bit of time here and there. But, some days, I spend way too much time getting ready in the morning or just before bed. Washing and drying my hair may turn into an hour ordeal and when I’ve decided its time for a face mask, well, I may convince myself it’s time for a full on in home two-hour facial. The truth is, most of us wished the days were longer so we can find the time to nourish and pamper ourselves without feeling rushed and pressed for time. So, wouldn’t it be great if we all had an extra hour a day? 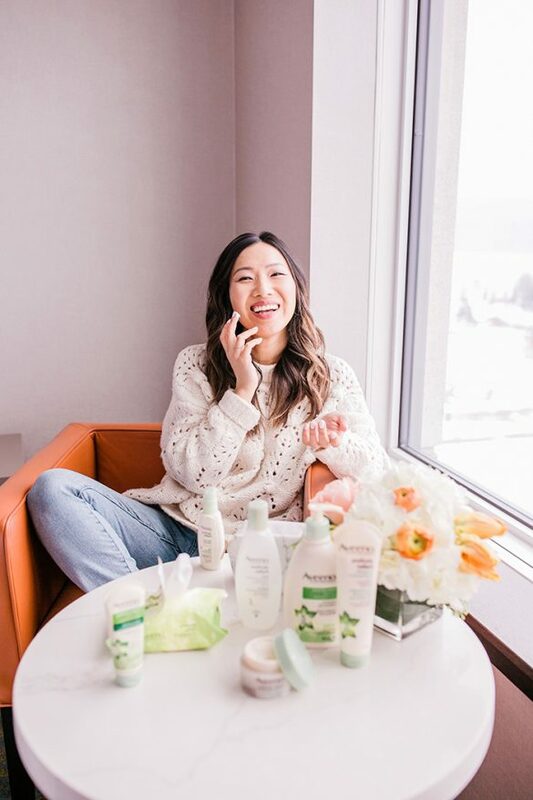 Today, I’ve partnered with AVEENO® to share some of my recent beauty discoveries that have helped me regain an extra hour back in my day!